The progressive jackpot on Yggdrasil Gaming’s Joker Millions slot was hit twice in two days with the first lucky playing winning a massive sum of €6,615,507, which is the second largest win in the history of the game. The first punter’s win of €6,615,507 comes in below the €7,831,370 that was won by a lucky player in November of last year at LeoVegas Online Casino. The jackpot on Joker Millions pays out an average amount of €3,250,762 approximately every 17 weeks. The second lucky punter hit the same jackpot for an amount of €1,298,440 a day after the first progressive jackpot win on Joker Millions. This prize is well below the average payout of €3,250,762 which is due to the rapid frequency of the two wins. Joker Millions is a progressive slots jackpot that can be won at online casinos offering games from Yggdrasil Gaming. The video slot was developed in Yggdrasil Gaming’s Malta based studio and released in 2015 as its first pooled progressive jackpot game. 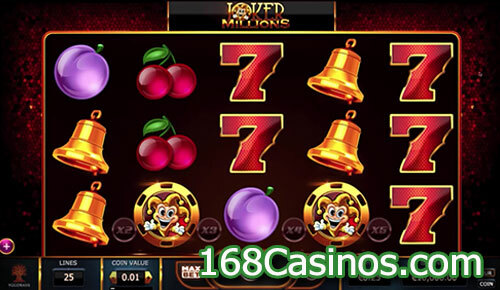 The 5 reel and 25 pay line Joker Millions video slot has a large progressive jackpot tied to it that grows with each non-winning single bet placed by a player. Symbols on the slot include lemons, 7s, cherries, watermelons, plums, bells and joker symbols. The jackpot can be won when a player lands 5 joker symbols to move to the Jackpot Spins bonus round. Players who manage to fill all 15 positions on the reels with joker symbols, win the game’s huge progressive jackpot.